This promotional postcard documents the completed "restoration" of the church. 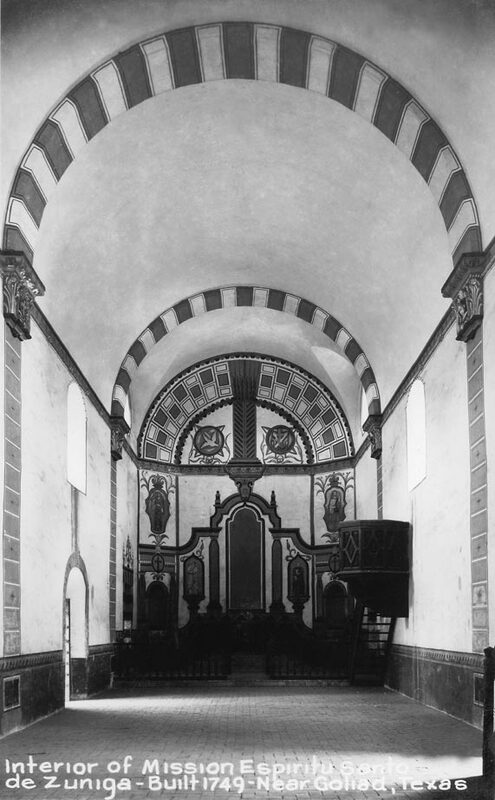 Note the bold paint scheme that includes trompe-l'œil columns visually tied by the decorative banding across the ceiling. The pulpit is simple yet finely detailed and the decorative medallions on the back wall direct the attention to the altar.